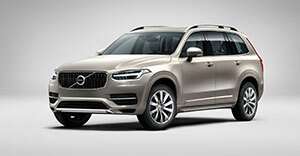 April, 2016: Volvo Cars’ XC90 premium SUV cemented its position as the Middle East’s leading car by winning the “Car of the Year” and “Best Midsize Premium SUV” awards at the 2016 Middle East Car of the Year Awards (MECOTY); The biggest, most coveted award of the regional automotive industry. Bahrain, April 2016- Motorcity, the sole distributor of CITROËN in the Kingdom of Bahrain, announced a new offer on CITROËN light commercial vehicles. 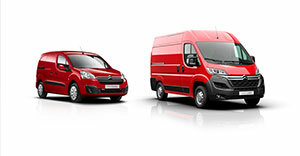 CITROËN is well known for European build quality, reliability and versatility. 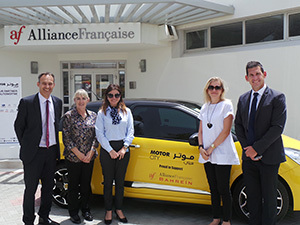 Bahrain, April 2016 - Motorcity, the sole distributor of Citroën cars in the Kingdom of Bahrain, recently signed a partnership with Alliance Française, a non-profit, non-governmental organization that is subsidised by the French government. 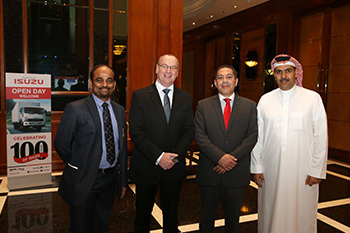 It is an educational, cultural association headed by a Franco-Bahraini committee.